(Monthly) DOTA 2 Tournament, Fairfax, VA: The Cave Gaming Center | Community. Reviews. Pwnage. 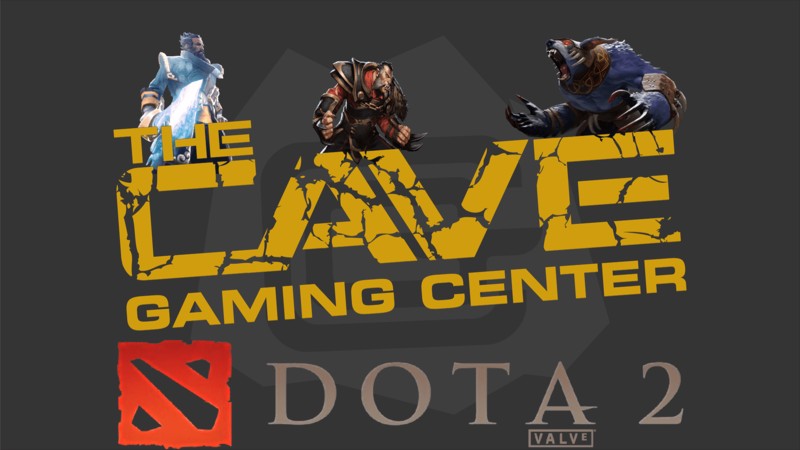 The Cave Gaming Center Monthly DOTA 2 Tournaments! Each team has one captain that is responsible for the drafting phase. The game starts with a random pool of 27 heroes (9 Strength, 9 Agility, 9 Intelligence). The captains start off by banning 3 heroes each and then they move on to drafting heroes for their team. Which team picks and bans first is random. Each team has only a total of 150 seconds to make all of their picks and bans. After the heroes have been chosen by the captains, players get to choose their hero. This mode was previously enabled for Ranked Matchmaking but was removed because not enough players queued it leading to imbalanced games.